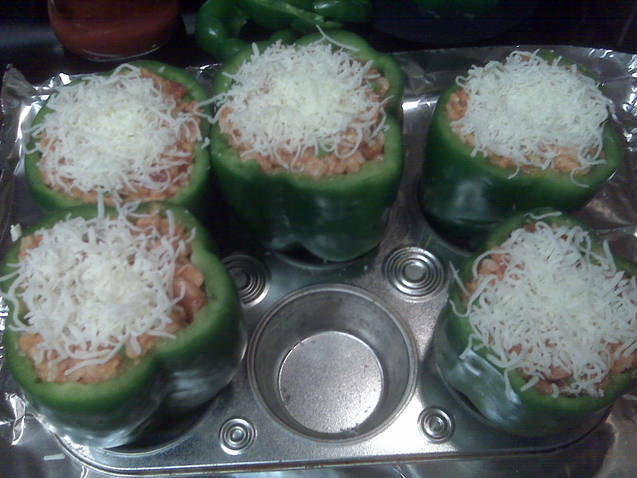 Stuffed peppers are one of my favorites. Peppers have been hard to come buy here but now I am definitely going to be on the lookout for them! 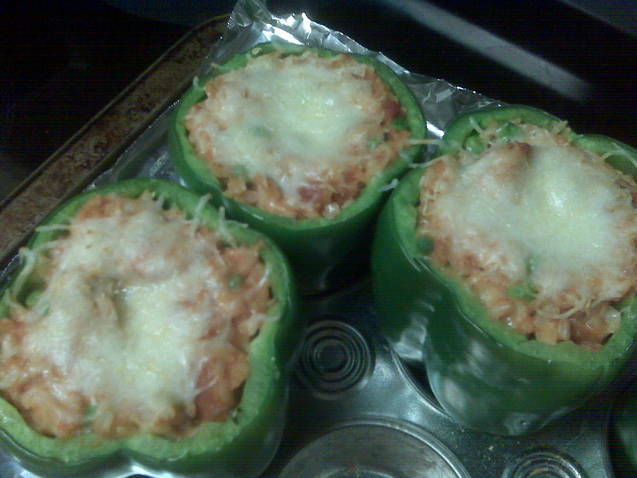 Andrew LOVES when we make stuffed peppers, but we haven't branched from out from our cous cous, spinach, and black bean variety, we totally need to branch out!! I'm going to have to try this as I have abunch of green peppers from the garden. I love peppers...but have never have stuffed peppers. Shame on me! 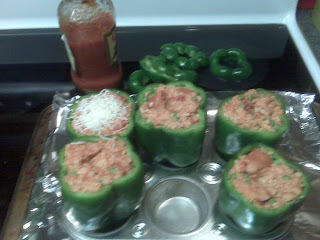 I'm not a fan of green peppers but I must say those sure do look yum!! I've always made them in the crock pot and they get kinda gummy and nasty. I may have to try your method instead.